A radical new theory suggests the first dinosaurs may have originated in the northern hemisphere, possibly Britain, rather than in the southern hemisphere as previously thought and their grouping, accepted for 130 years, could be wrong. It was British paleontologist Harry Seeley who in originally placed dinosaurs into two distinct groups in 1888 – saurischian and ornithischian. For 130 years this grouping has been accepted. The origins of dinosaurs were thought to be in the southern hemisphere in particular in South America where the oldest fossils have so far been found. During the new research the importance of the two dinosaur discoveries in Scotland and England came to light. “This is a radical shake up of the dinosaur world,” said Tim Batty, “for many years the origins and groupings of the dinosaurs has gone unchallenged. It is exciting news and further strengthens Britain’s position as a major dinosaur nation. The first dinosaurs to be scientifically named – Megalosaurus and Iguanodon – were discovered in England, the word ‘dinosaur’ was invented by Richard Owen a leading British scientist, and now it would appear that the very first dinosaurs came from what is now Scotland. 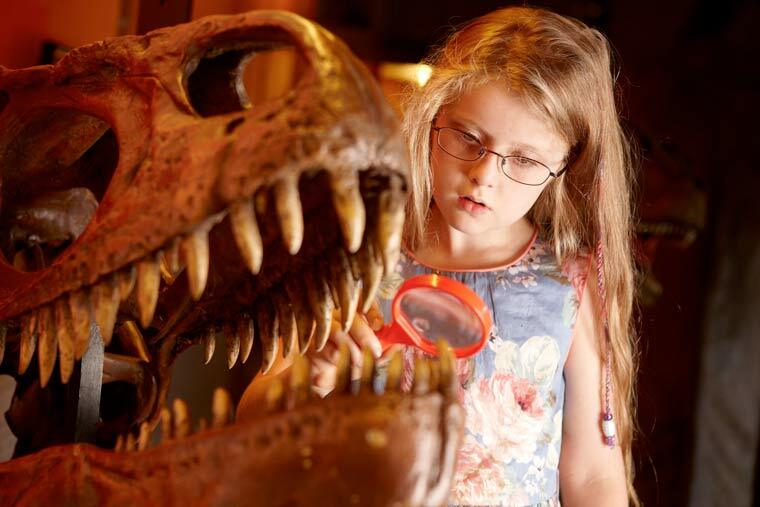 For those wishing to discover more about the fascinating world of dinosaurs the Dinosaur Museum is the perfectplace. It has a rich mix of fossils, life-size dinosaur reconstructions, skeletons, hands on and interactives. It is open daily 10am to 5pm all year. Go to www.thedinosaurmuseum.com for more information.